PATNA: Only four Hindu families live in Saguuniya, a Muslim-dominated village about 400 kilometers from Patna. But they celebrate Durga Puja with fanfare, thanks to the support of Muslims. 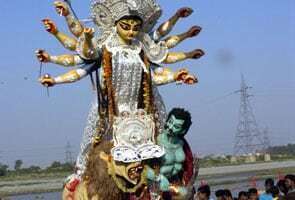 Mohammad Rizwan, one of the dozens of Muslims who helped Hindus celebrate the festival, said he and other Muslims were only continuing an age-old tradition. “It is a matter of tolerance preached by Islam that one should help the other,” Mr Rizwan said. Previous Post Should we change our Facebook group to Hindu-Muslim-Sikh Unity?